Painter/printmaker, Linda Rose Larochelle, is a graduate of the San Francisco Art Institute and a lifelong art educator. She has done graduate work at the University of Maryland and at VCU. 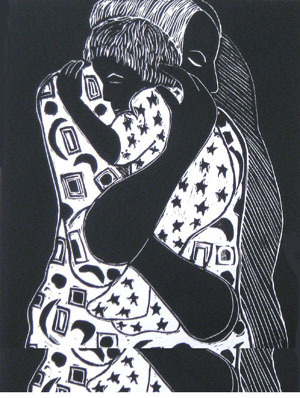 Recently retired from the Arlington County Virginia Public Schools, she is now devoting full time to painting and printmaking. Her relief block prints reflect a fascination with color, texture and pattern. The strong contrasts and multiple textures in her prints lend a folk like charm to the human figure. Most of the work in this show reflects an interest in mother and child images, a common theme in Larochelle's work. 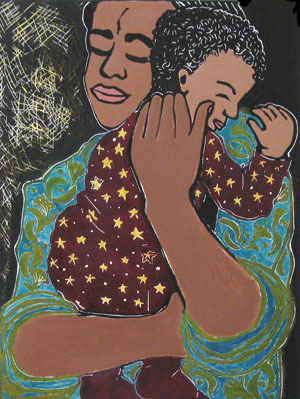 Linda says, "The image of mother and child shows up in my work a lot. I feel it lends itself to the simplified and expressive quality of the medium and reminds me of an important time in my life." Explaining the relief printing process she adds: "I spend a lot of time drawing my images then transfer them to the linoleum block. They are carved out with hand tools. The ink is rolled on with small rollers and each block is printed by hand rubbing or run through a small press. The number of prints of each image is usually small. 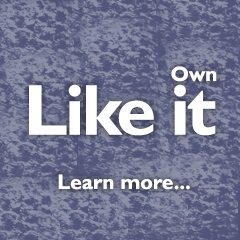 Many of my prints are unique each one being a little different because of variations in color." 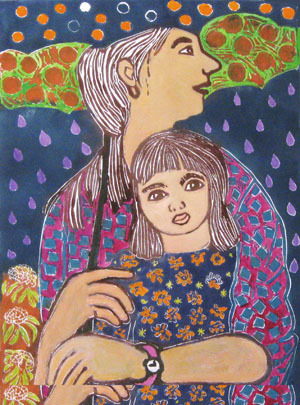 Also included in this Mother's Day Show are some of the artist's whimsical watercolors. The viewer should find them a happy balance to the block prints and their emphasis on patterns and textures are a carryover from the prints. Linda Rose Larochelle is represented by the Loft Gallery in Occoquan, Stifle and Capra in Falls Church and is a member of Falls Church Arts. 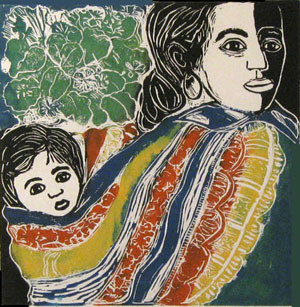 Mother's Day Show-Relief Block Prints opens April 29, 2012 and runs through May 26, 2012 at the Fredericksburg Center for the Creative Arts in Fredericksburg, Virginia.